This Beautiful home has been professionally renovated by a licensed contractor. Welcome Home! Corner lot. Freshly painted interior with two-tone paint. Spacious eat-in kitchen. Quartz counters & breakfast bar. Stainless steel smooth top range & dishwasher. 8x36 wood plank tile in the living areas. New upgraded carpet in both bedrooms. Ceiling fans. Easy care grass backyard. Citrus tree. Block Fence. 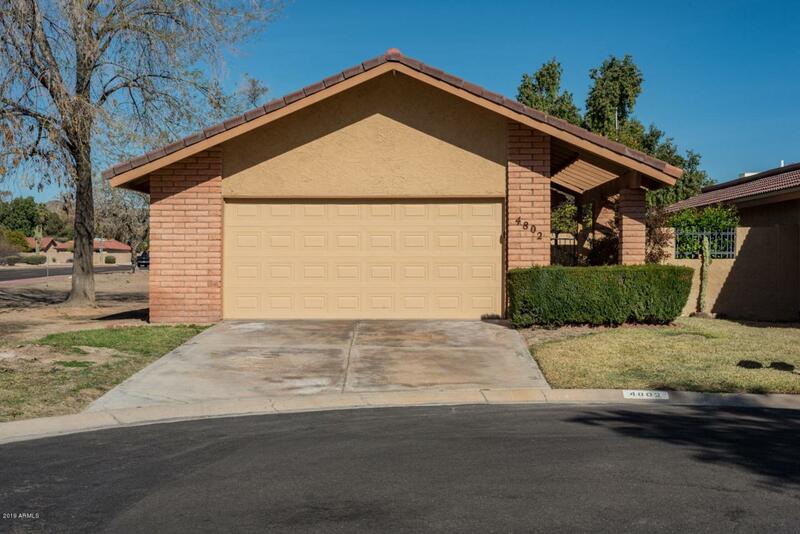 Come enjoy all of what this Ahwatukee subdivision has to offer. 55+ community with recreation center privileges.